The final design pieces of the Transbay District are clicking into place, and one of the last parcels to get developed, 555 Howard  an oddly shaped parcel hemmed in by Tehama Street and a new bus ramp for the Transbay Transit Center  finally has a design we can swoon over. 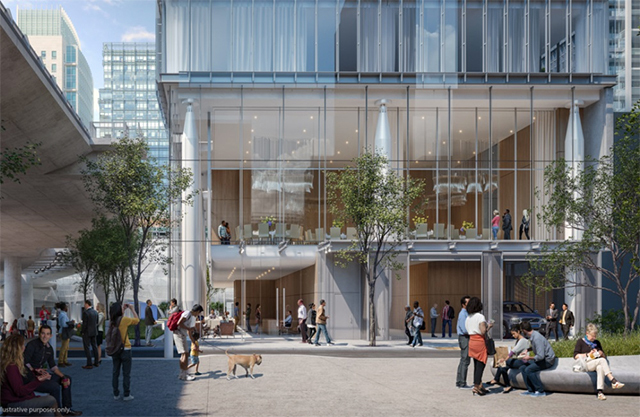 The sleek 36-story tower designed by 2016 Pritzker Prize-winning starchitect Renzo Piano will, as Curbed shows us, come with a stunning, glass-walled rooftop garden visible from the street, and will contain 255 hotel rooms as well as 69 residential units. As the 79-year-old Piano said last year of the project, when all we had were rough sketches, "If we do what we intend, it will be quite an amazing building, with a facade that breathes," adding, "We want something that is more than an object, more than a marble sculpture." Now the firm, which is collaborating on the project with Mark Cavagnero Associates, has created a tower with "a strong, transparent and porous 45-foot building base along all building frontages," according to the Planning Department, and obviously the transparency extends up the entire face to the roof garden. 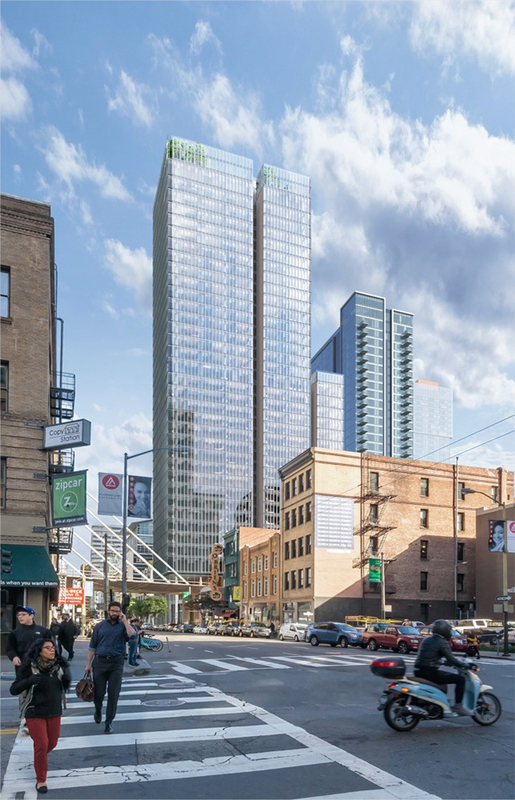 Piano's tower will sit directly across the street from this much taller Pelli Clarke Pelli-designed tower at 550 Howard that we just saw new renderings of earlier this month. As most of you should know, Piano is responsible for another iconic SF building, the California Academy of Sciences, which was completed in 2008. 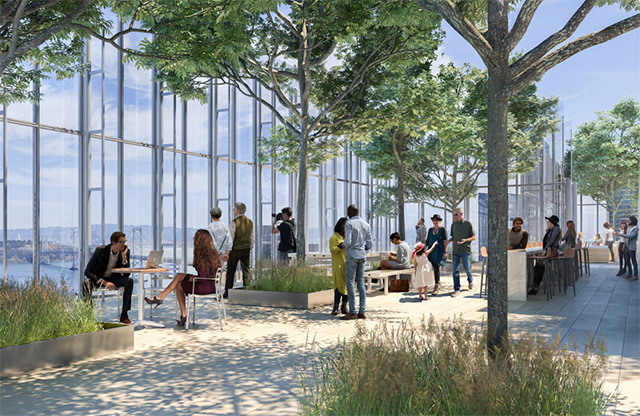 Renderings via Steelblue, Renzo Piano Building Workshop, and Mark Cavagnero Associates.